Keep your phone, ID card and other valuables dry and safe in this Advantus Waterproof Pouch. 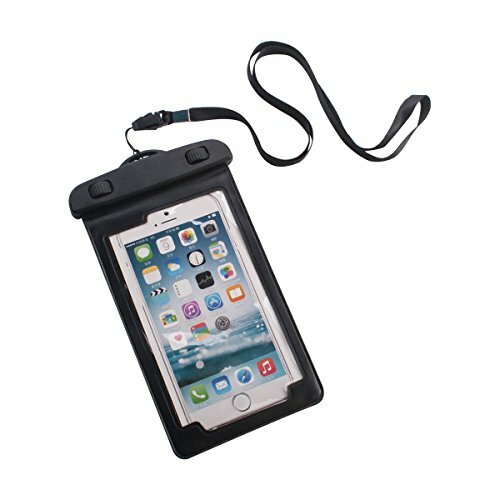 Waterproof, dustproof, anti-wind, rain and snow proof, this scratch-resistant pouch holds smart phones and other items. A rotary buckle closure at the top securely locks out water, waterproof up to 20 meters. Do not use in water above 45 degrees Celsius/113 degrees Fahrenheit. Each pouch measures 3.25"W x 5.75"L and includes a removable armband and 34" lanyard. It will fit the iPhone 6 and Galaxy S5. Advantus Corp. is dedicated to providing innovative quality products at fair prices.